Despite the popular photo sharing app temporarily being down earlier this week, it surely hasn’t stopped users addiction as Instagram reaches new heights. With the ever growing popularity of stories and live streaming, Instagram has seen significant growth as users continue to love posting their beloved selfies and photos of their lunches. 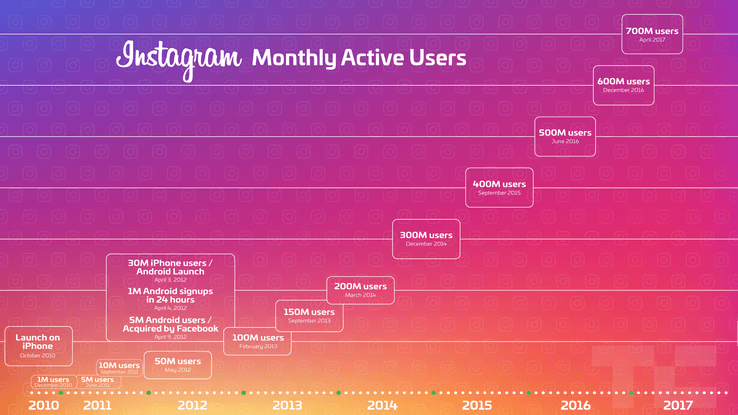 In just four short months, Instagram has gained yet another 100 million monthly active users, bringing it’s total monthly users to a whopping 700 million. Is Instagram going to be the next app to join the one billion club alongside Facebook and WhatsApp? As Instagram’s user base continues to grow, so does it marketplace. With now over 1 million active advertisers on the platform, Instagram is becoming a hot marketplace for consumer brands. 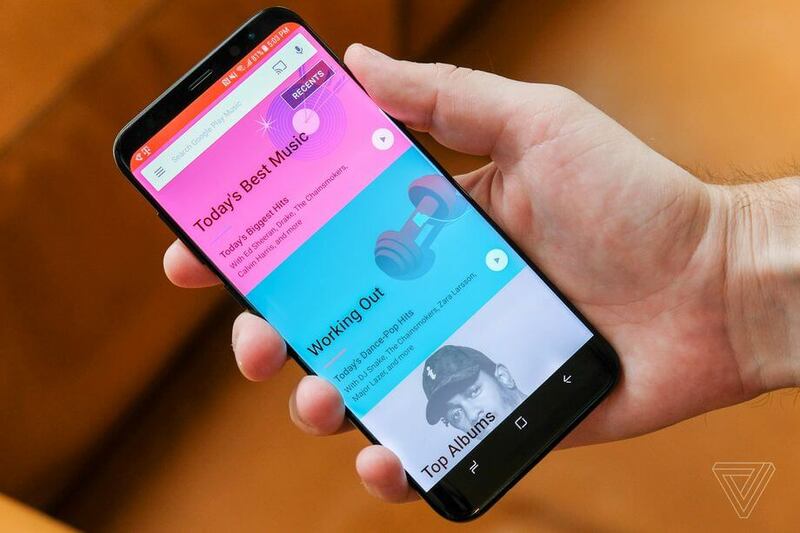 Amongst the anticipation around the retail launch of the Samsung S8, both Google and Samsung have announced that Google’s music app will become the preferred music player for Samsung mobile devices. Of course, this means that Play Music will offer exclusive benefits to Galaxy S8 owners as they’ll have access to upload 100,000 tracks to the service’s cloud locker as oppose to regular users 50,000. The regular Samsung music app remains available to download from the Play Store, however all Galaxy S8 buyers will receive a free three-month trial for Play Music in a bid to compete with other streaming services like Spotify, Tidal and Apple Music. What are your thoughts on this partnership? Are you looking forward to some free tunes on your S8, or will you still use your current music streaming service? Let us know, tweet us at @hydricmedia. Spotify has acquired blockchain startup Mediachain Labs, whose team will join the company’s office in New York. They’ll work on developing better technology for connecting artists and other rights holders with the tracks hosted on Spotify’s service. After Spotify settled a licensing dispute with the National Music Publishers Association in the U.S. last year over unpaid royalties, they plan to leverage Mediachain’s blockchain technology to help solve problems with attribution. As Mediachain explains in a blog post, its vision for the problem with attribution is a shared data layer. With its co-founder Jesse Walden who was a past co-founder for an artist management firm, as well as CTO Arkadiy Kukarkin, the original engineer at Hype Machine, it’s reassuring to know that Mediachain has past experience within the music industry. Do you think that this acquisition will draw an end to potential copyright disputes for Spotify in the future? Let us know your thoughts, tweet us here.